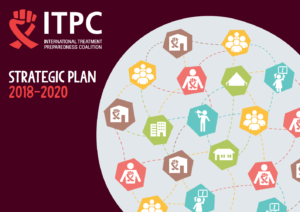 As ITPC, we remain committed to that same urgency and solidarity that led us to a united global, regional, national and most importantly grassroots action almost two decades ago. A world of better health is not a dream, join us in the fight to that vision a reality! Today, we are proud to share our new Strategic Plan for 2018-2020. 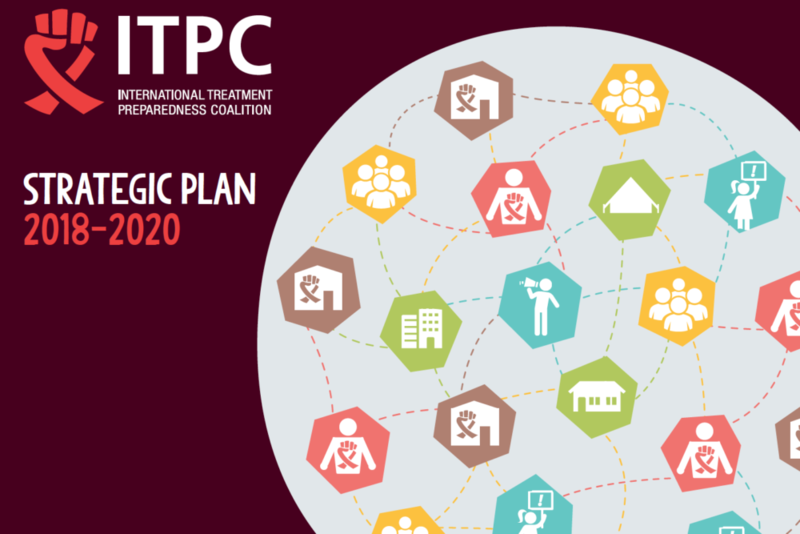 ITPC was formed in 2003 by a group of 125 HIV treatment activists from 65 countries at a meeting in Cape Town, South Africa. At that time, no more than 500,000 people had access to HIV treatment. The cost of treatment was over $10,000 per person per year. Very few entities had the knowledge and capacity for treatment advocacy. Today, more than 21 million people have started HIV treatment. In the world’s poorest countries, the cost of effective treatment has been reduced to less than $100 per person per year. Today, thousands of advocates have made broader access to better treatment a fundamental goal of their work. 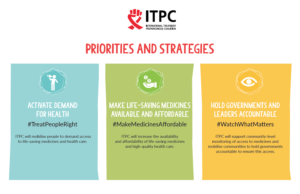 Moving forward, ITPC will continue to invest in the key driver of past successes: the energy, skills, and informed action of people living with HIV working together for equity in medicines and health. Hold governments, donors and other authorities accountable to human rights and public health. No one organization or sector can improve the health and political systems. This is a critical moment in history for the emergence of a unified global community-led movement of activists who can change systems and make them work for us all. Find out how we plan to fight for a world of better health.